HTC today announced the Sensation XE, its first handset to include audio technology from its new partnership with Beats Audio. The Sensation XE is essentially the same Sensation announced earlier this year (sold by T-Mobile as the Sensation 4G), but with a few changes. The Sensation XE has Beats Audio software added and will come with a pair of Beats by Dr. Dre in-ear headphones. 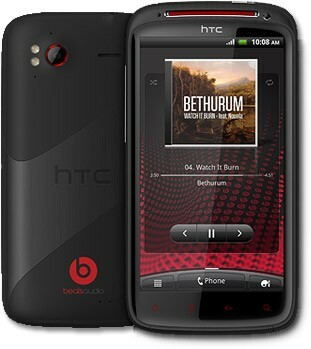 These additions will deliver "fuller bass and crisper vocals and a new level of clarity and range," according to HTC. Other changes include a faster 1.5GHz dual-core processor and an extended battery. The Sensation XE will first be made available across Europe, Asia, and the Middle East. HTC has not announced plans to bring this handset to the U.S. at this time. HTC has released the source Android 4.0 Ice Cream Sandwich kernel for the Vivid, Sensation, and Sensation XE. HTC began rolling the Android 4.0 update to these three devices recently, and the kernel will help developers adjust their apps/services to work better on these phones. These additions will deliver "fuller bass and crisper vocals and a new level of clarity and range," according to HTC. Yeah, becuase HTC is the authority on all things full and crisp, right? If anybody has used the HTC Surround, they will know that HTC certainly is not a sound authority.